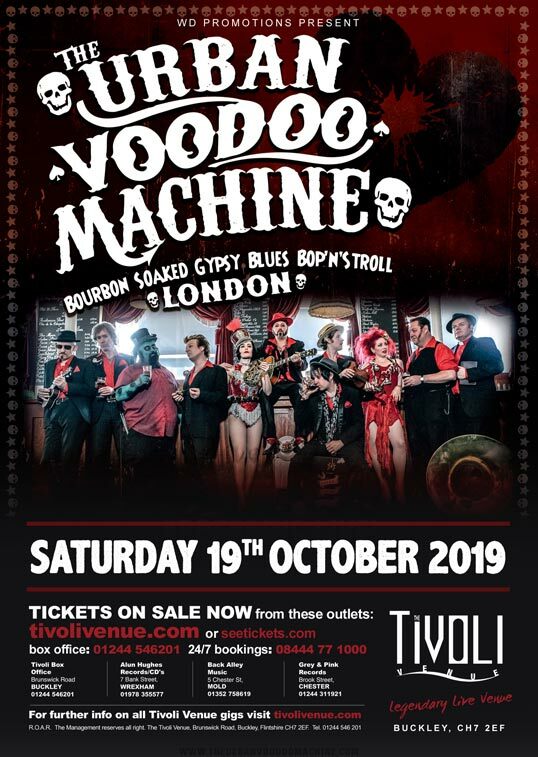 Following a mind-blowing night back in May 2018, The Urban Voodoo Machine return to the Tiv to blow your mind once again!! Led by the darkly charismatic, Norwegian-born Paul-Ronney Angel, they are a supremely talented collective of London-based musicians who have been bringing the spirit of the carnie to an ever-growing audience of dedicated fans these past few years. Sounding like they should be from the Deep South, the band are self-styled purveyors of ‘Bourbon-soaked Gypsy Blues Bop ‘n’ stroll’. Tickets are a steal at just £14.00 (adv).